dance.net - Purple Jacket for Sale (10245141) - Read article: Ballet, Jazz, Modern, Hip Hop, Tap, Irish, Disco, Twirling, Cheer: Photos, Chat, Games, Jobs, Events! Bust: from side seam to side seam 22"
Nape of neck to point: 20"
Asking $40 Canadian plus shipping. Located in Ontario. Can I trouble you for waist & hip measurements and a general description of the dancer this fit? i.e. height, size in street wear - thanks! I am selling this on behalf of our studio and will need to make these inquiries for you. Will respond when I have the information. I would like to give the first person an opportunity after I answer their questions. 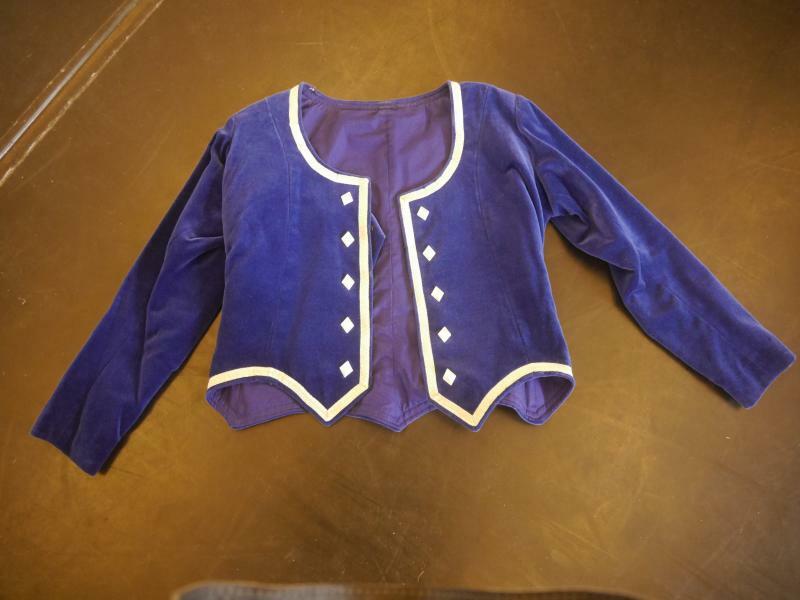 The jacket measures Bust : 43"
I only know that it was worn by a dancer who danced at the studio years back. If you are interested please let me know as there is someone else wanted to purchase. Hope this helps. I would like to purchase, please. If it doesn't fit then I will contact maritime mom before relisting on DDN. Can I trouble you to email me with shipping & payment details, please? My shipping zip code is 98466 (US) and my email address is emilydmurer [at] gmail [dot] com. Thanks! emmyport- I will PM you with details. If the above sale falls trough I would be very interested in purchasing.